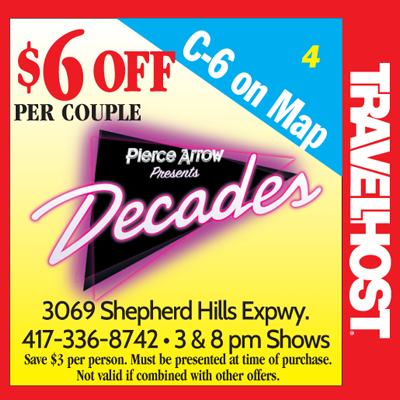 Show this coupon and save at Decades in Branson! 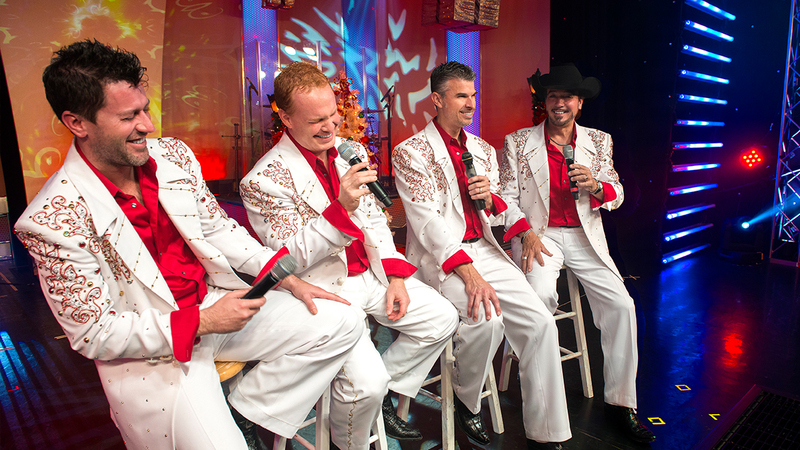 For a show that the entire family can enjoy, head to check out Decades at the Pierce Arrow Theater in Branson, MO. This show has plenty to offer to visitors, including some fantastic music and hilarious comedy that is sure to impress. Do not miss out on this high-energy performance the next time you visit the Ozarks. Brand new for 2018, this show features fresh and exciting pieces that all come together to form an unforgettable event. Guests will be taken on an exciting journey through the best eras of music. Sampling hits from the 50s, 60s, 70s, and 80s, the show brings something for everyone to the table.